After Shave Splash Cologne is used after shaving to help tighten and close the pores on the face, or as a summer cologne. It comes with your choice of fragrance or an essential oil blend. This after shave contains aloe vera and witch hazel for its soothing and antiseptic properties. It is a refreshing and invigorating scented after shave and cologne that can also be also used on the body. Each After Shave Splash has a unique dispensing cap for ease of use and is ready for gift giving. Please allow for slight natural variations in color between fragrances. The photo shows Bay Rum Lime, Sunburst, Menthol Snow and Suede, but you can choose any scents that I have available. Keep away from eyes. Bay Rum and Lime is a blend of pure bay rum topped off by the crisp, tart and refreshing lime. Sunburst is a zesty uplifting blend of lemon, lime, apple, orange, peach and tangy grapefruit with notes of violet, lavender, lilac and sheer musk. Menthol Snow has spearmint, peppermint, corn mint, Corsican mint and lots of menthol. Suede has notes of citrus zest, bergamot, leather, patchouli, birch and tobacco with bottom notes of wood, amber, cedarwood, tonka bean and oakmoss. BADEDAS - Upscale clean blend of lavender, fir, lemon, eucalyptus, orange, cedarwood and tonka beans. BLUESTONE - A masculine scent of smoked cedarwood, bergamot and amber. BRITISH EMPIRE - Crisp citrus, exotic oud, golden amber, rich sandalwood and white musk. CRIBBEAN COCONUT- A tropical coconut that’s creamy and sweet with a touch of Vanilla. CITRUS SPICE - Sparkling fresh citrus with a note of spices like cloves. COCO LIME COOLER - A tropical blend of ripe coconut, tangy lime with a hint of summer mint. COOL WATER - Masculine blend of bergamot, lavender, cedar, balsam, orange flower, amber, oakmoss, vetiver and musk. DRAGON’S BLOOD - Rich earthy and grounding scent with notes of amber, dark woods, aromatic cedarwood and patchouli. DRAKKAR NOIR - A masculine fragrance consisting of lavender, tangerine, coriander juniper, sandalwood, patchouli and fir balsam. HAVANA COGNAC - Citrusy bergamot, fresh lemon zest, velvety cognac and rich spiced tobacco leaves. NAG CHAMPA - Rare exotic Champa flowers, spices and resins that are mysterious, deep and earthy. OAOKMOSS - Rich, deep and woodsy, with a warm woody aroma. P.I. - A masculine blend of mandarin, bergamot; lavender, coriander, cedarwood and patchouli. TOBACCO FLOWER – Sweet tobacco with masculine, woody and floral overtones. 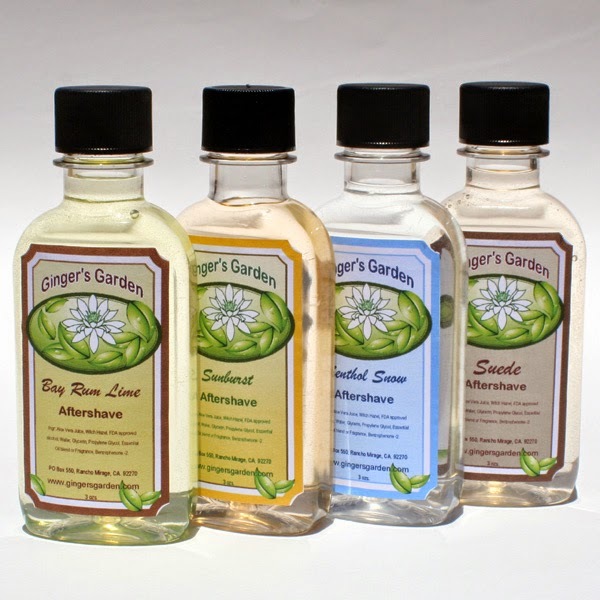 If you would like other fragrance that’s not listed here, take a look at the Scent List at Ginger's Garden Scent List.